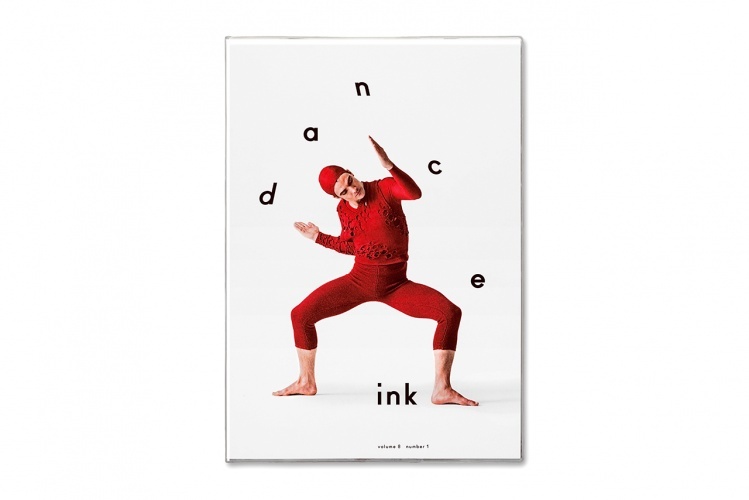 The independent performing arts magazine documents specially commissioned dance works in print. 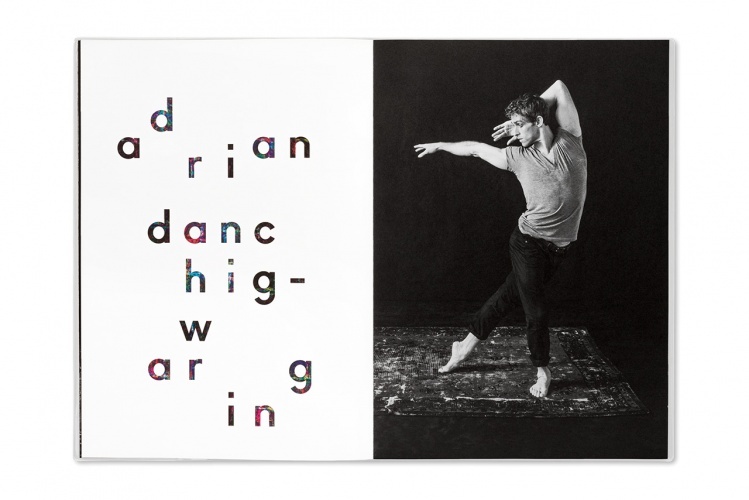 Pentagram partner Abbott Miller has relaunched the quarterly dance magazine that he edited and directed, 20 years after it was first published. 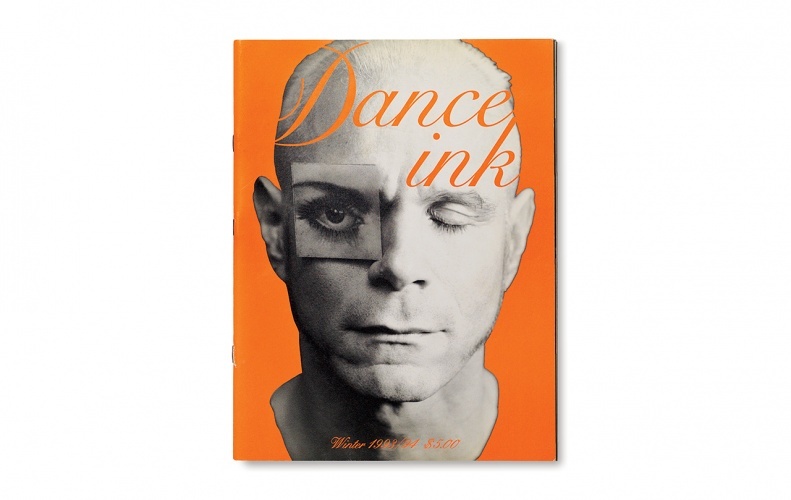 Originally started by Miller in 1989 along with publisher Patsy Tarr, the two of them have picked up where they left off with Dance Ink in 1996, with the publication of Volume 8, Number 1. 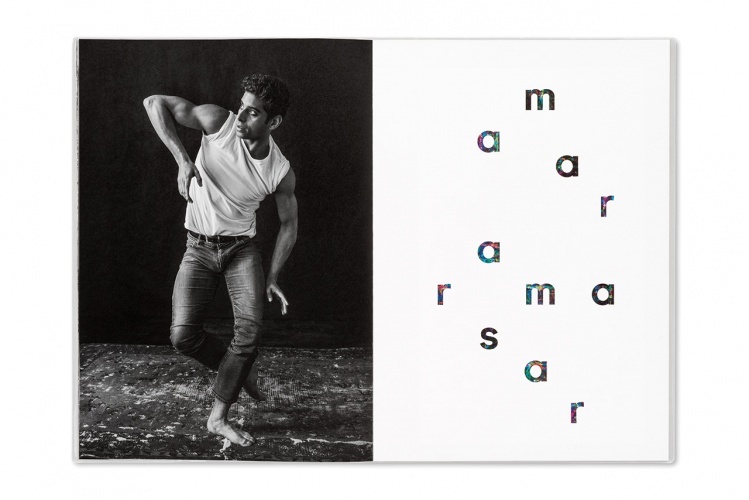 The magazine, which developed a cult following among dancers, photographers and designers in the 1990s, has also expanded its remit to include additional formats. Two large-scale posters will be produced with every issue, and single or multiple images are designed to be used as wall murals. 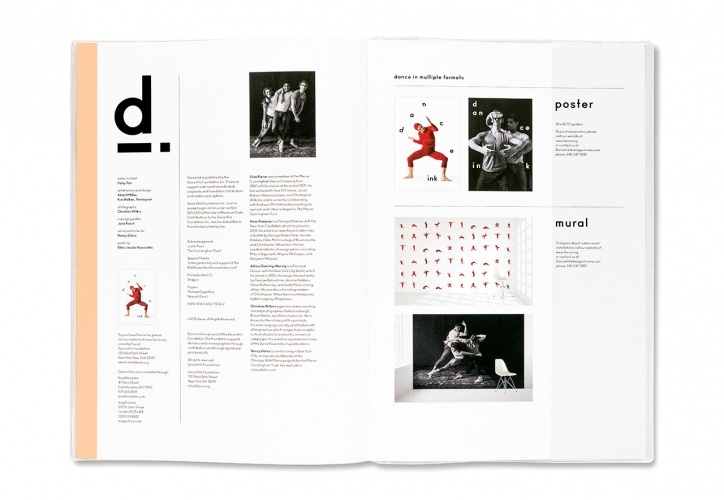 Transparency is one of the key themes of the new issue – it comes in a clear sleeve, while the design plays with the transparency of ink on the page, “suggesting layers of performance and motion”, according to Miller. 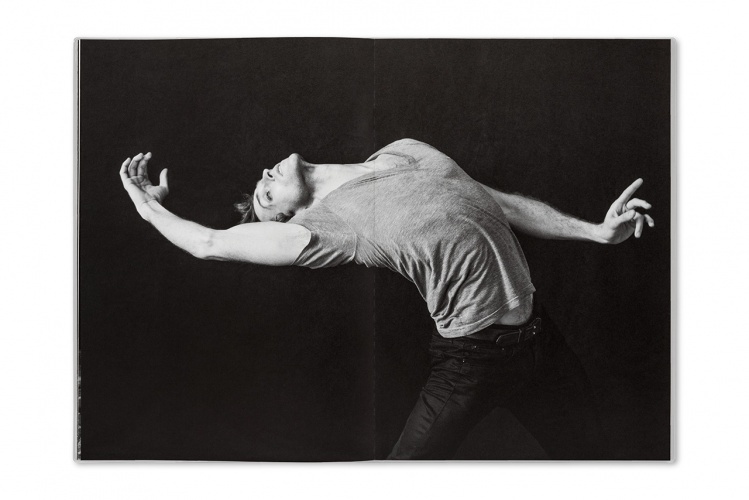 The format consists of a single collaboration with a photographer and performer, and the look will vary from issue to issue. Volume 8, Number 1 is limited to a run of 500 copies, and can be purchased online here. 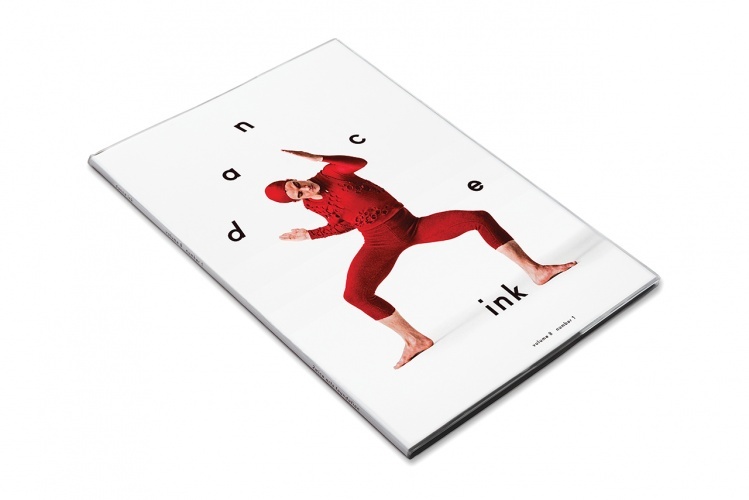 We speak to Miller to find out more about the Dance Ink relaunch and the design inspiration behind it. 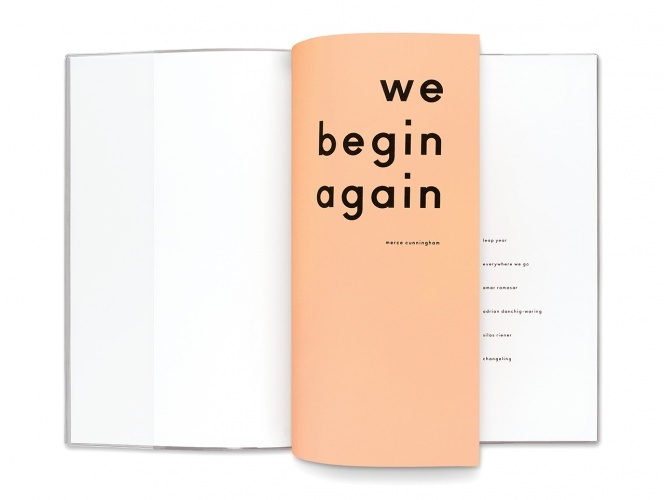 Design Week: Was the relaunch something you’ve wanted to do for a while? 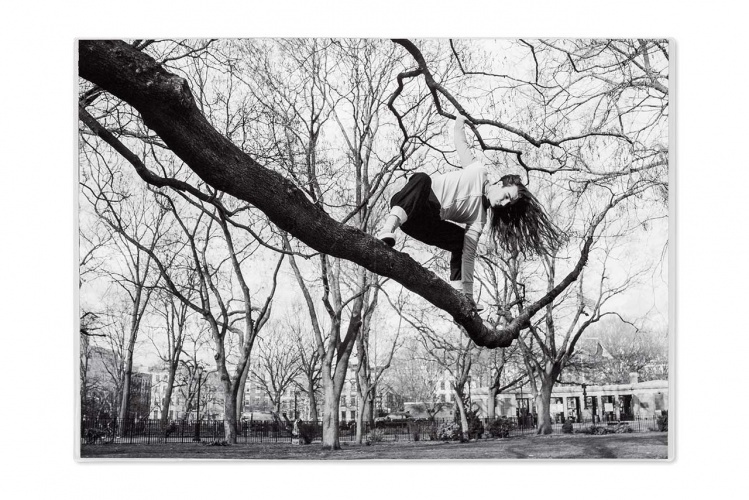 Abbott Miller: For many years the 2wice Arts Foundation has been operating on a schedule of producing one or two projects a year, depending on the complexity and expense of the projects. Our last three endeavors were a series of digital apps (Fifth Wall, Dot Dot Dot, and Passe Partout) that were really exciting but also fairly complicated and expensive. We recalled how direct and comparatively inexpensive print is and we thought we would make a return to something tangible and seductive. DW: Why was it important for you to pick up where you left off with Volume 8, Number 1? AM:That was more a perverse sense of humour! We liked the idea that you could pick up where you left off despite the passage of 20 years. It was a way for us to continue a story and a mission, but with new characters. DW: What was the main inspiration behind the design of the magazine? AM: A kind of complex simplicity – a feeling of bareness and focus that feels a little bit like starting from zero. I had a funny struggle with going back in time, and my way around it was to maintain the notion of pacing and rhythm in the layouts, but have more restraint in the type. 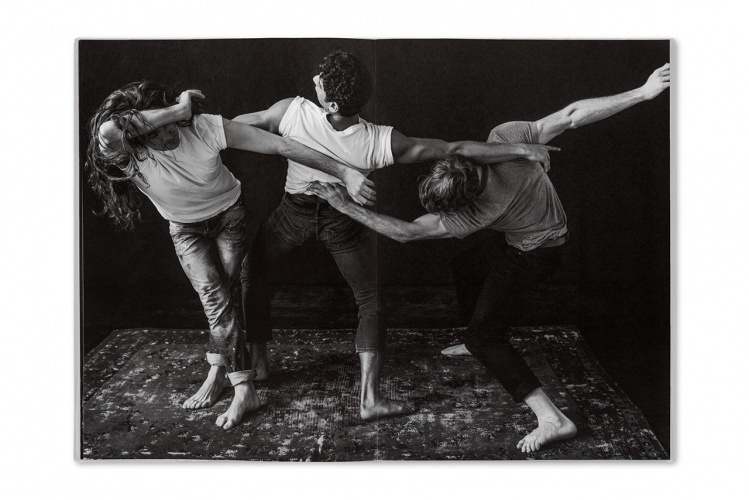 The biggest component was to honour our original idea of making dance happen on the page, so the shoot is really conceived for a sequence that transpires in the scale and sequence of the magazine. DW: What are the key design features and why have you included them? AM: I used colour in a specific way, where the imagery is primarily black and white, but it is reproduced in CMYK to give it a beautiful depth. The type allows hints of that colour to show through. In one feature there is a slippage between different layers of the letters so they create overall dark letterforms, but there are edges that reveal the magenta, yellow, and cyan to be perceived. In another feature the tattered oriental carpet is present in most of the images. I asked Christian Witkin to shoot direct overhead details of the carpet and used those to create layered letterforms that incorporated the CMYK layers to create a distinctive texture within the letterforms. I saw these as subtle ways to introduce colour in a largely black and white world. 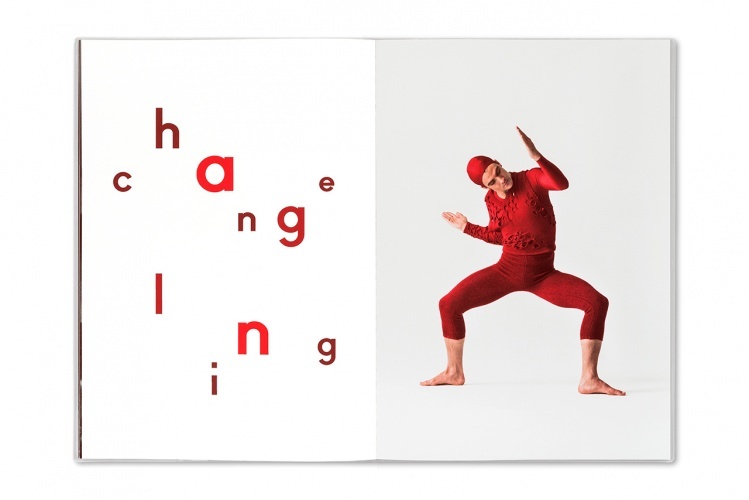 The restraint of those contrasts with the full-on red world of the last dance sequence, which feels more powerful because of the importance of red in the costume that Robert Rauschenberg designed for Merce Cunningham, which was performed in the issue by Silas Riener. 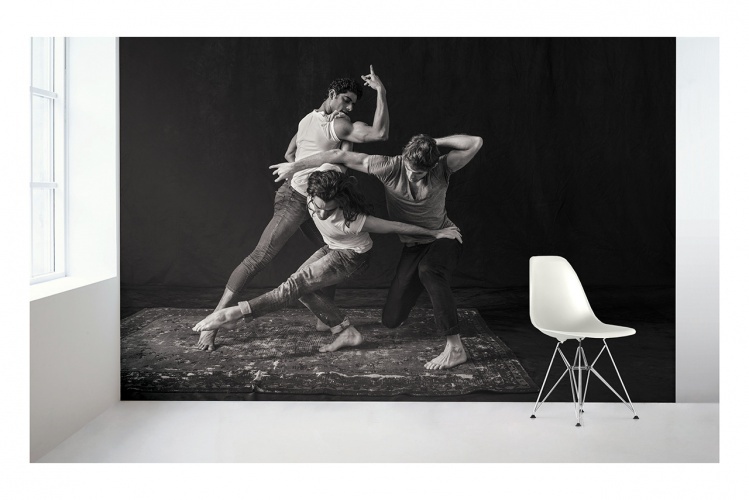 DW: Why have you decided to expand its remit to include new formats such as posters and murals? 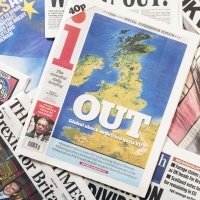 AM: All media is now multi-media. We are now accustomed to the translation of images and texts from one medium to another. 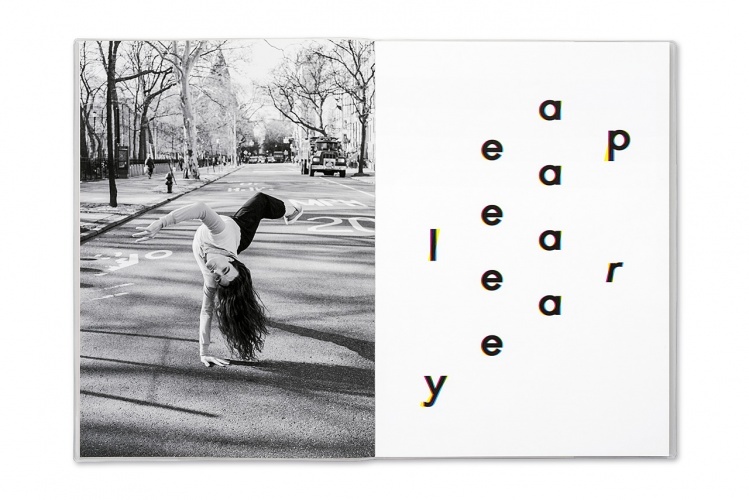 That is a different type of elasticity than what existed when we published the original Dance Ink, and we liked the idea of offering other ways of seeing the imagery we’d developed with Christian Witkin. 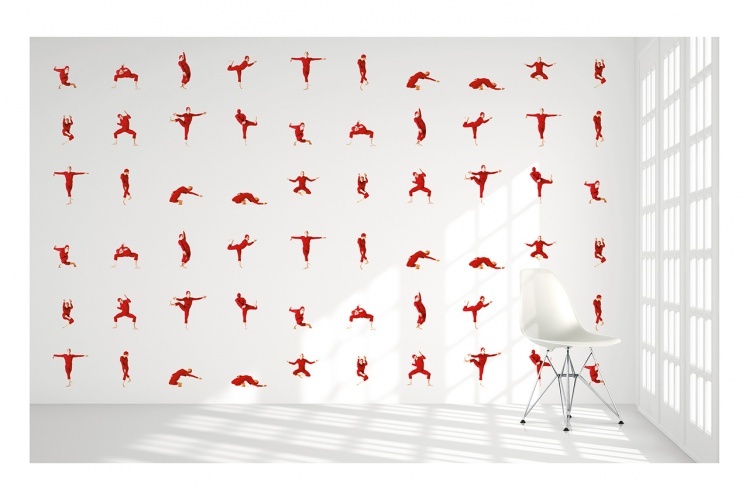 The wallpaper mural format allows someone to incorporate the imagery into an architectural space. Having designed several wallpaper patterns, and doing a lot of environmentally-scaled work, I was interested in the idea of a magazine that could become a part of an architectural space. DW: How has the dance community changed since you first set up the magazine, and how have you relaunched the magazine to reflect this? 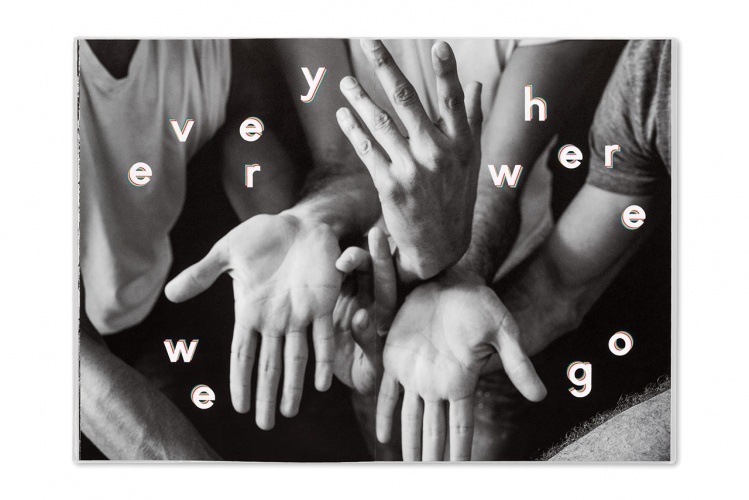 AM: The biggest difference is generational – there is a totally new generation of artists from when we last published. The other difference is that the promotion of dance and performance has become more sophisticated. Whether small companies, individual choreographers, or big organisations, the use of video as a creative tool is now pretty standard. 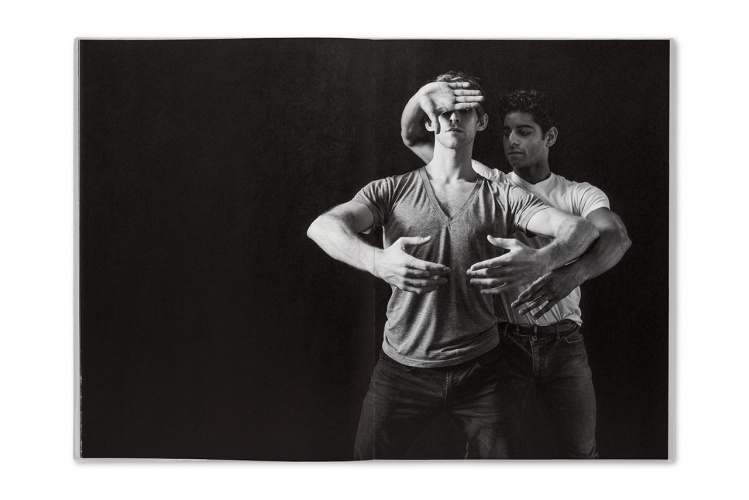 The other difference is what seems to be a kind of renaissance of choreography, especially in the classical arena. 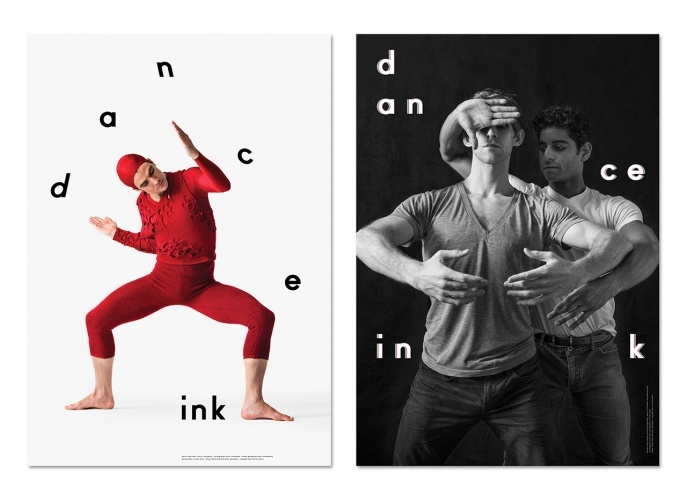 Originally Dance Ink was far more aligned with modern and contemporary dancers and choreographers because that was where the creative focus was, whereas now you are seeing large classical ballet companies commissioning young choreographers like Justin Peck, Christopher Wheeldon, Alexei Ratmansky, Benjamin Millipied, Jessica Lang, and Lauren Lovette. That just means we may have more of a complex mixture of forms in the magazine.